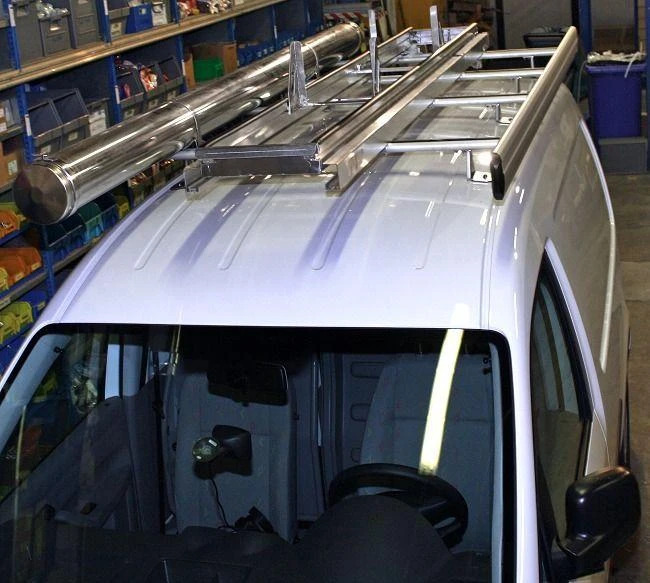 Syncro System modular roof racking system includes ladder racks for VW Caddy, roof racks and roof bars for Caddy. A variety of roof racks for Volkswagen Caddy are available in several styles and for many different applications. Supporting legs in stainless steel for long and trouble free operating life, rubber strip over roof bar. 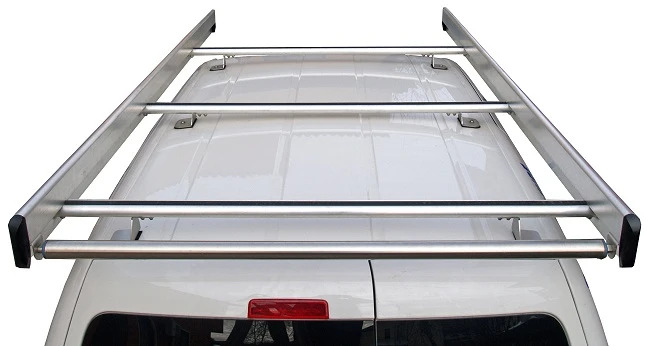 The modular design allow to fit roof racks also on another vans, in such a case specific legs set is required. 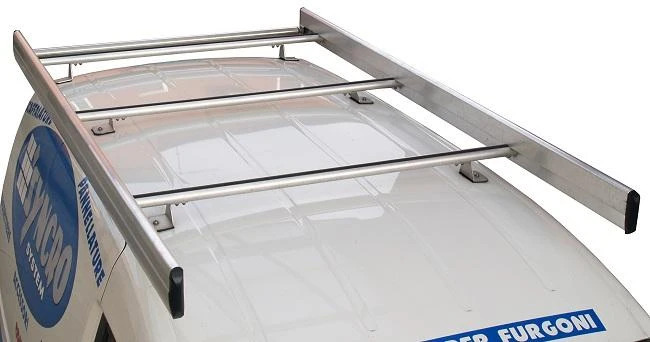 All VW Caddy roof racks come with a stainless steel loading roller that provide guidance when pushing your load onto your van, this prevent potential vehicle damage. Stainless steel pipe tubes are also available for Caddy. 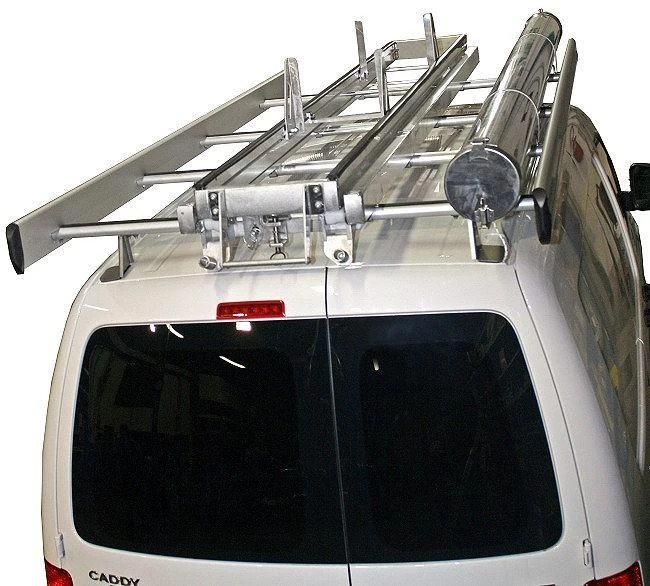 These can be easily installed on 2 or 3 bar roof rack system. Choose the roof rack or ladder rack system that suits your needs. On the images a ladder racks used in combination with the pipe tube for quick and easy loading of ladders and pipes. 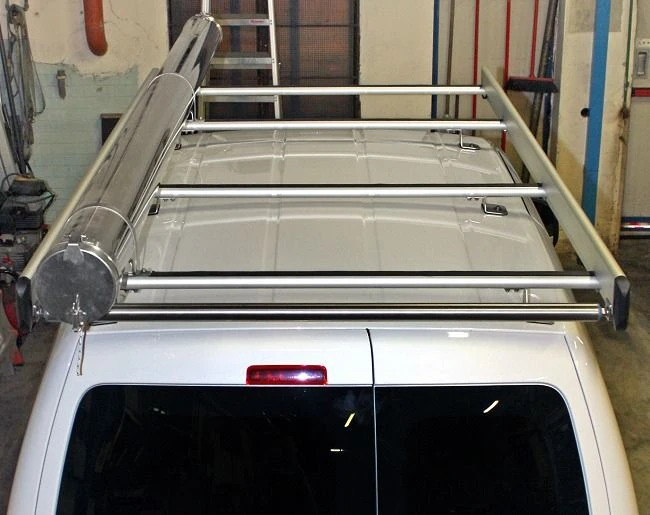 Roof bars and utility roof racks for VW Caddy are modular and silent thanks to the exclusive aliminium profile Supersilent.